It is time to announce the Design Team Favorite Picks for week #61 - Christmas in July! Wow! We had some GORGEOUS entries! 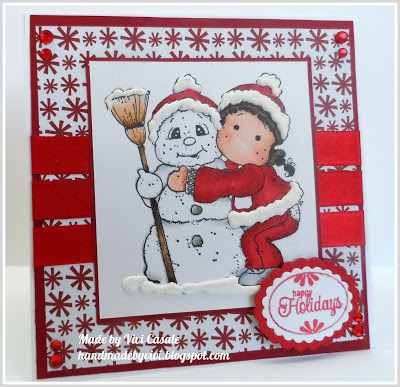 This challenge was so fun and reminded me that I really need to make Christmas stuff all year - LOL! Thank you to all who played along you really make it sooo hard to choose a favorite! Here are the ones that really stood out to our team..
Holly Said: I have to say, there were so many cute Christmas in July cards, it was a tough choice. 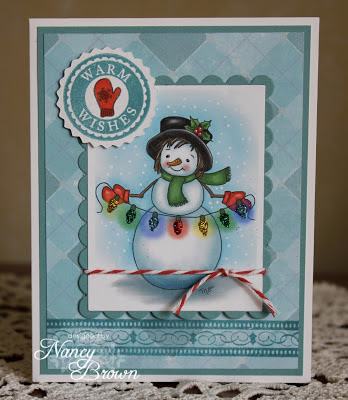 I did choose #60 Nancy Brown - OMGosh I love this adorable Snow Lady and the fabulous coloring! I could literally see those twinkling lights lit up. Fabulous. Ceal Said - #60 I am a lover of Snowmen and this one is super cute and colored beautifully, I love how she made a glow around the light bulbs. Laura Said: I totally love Snowmen and I have to say this one is especially adorable! The glow of the lights is AMAZING and really makes this card pop! I agree with Holly, you can literally see these twinkling in the snow. Absolutely gorgeous job! Dangina Said: #46 Margreet - Stunning die cuts, color combos and displays. Fabulous Creation! 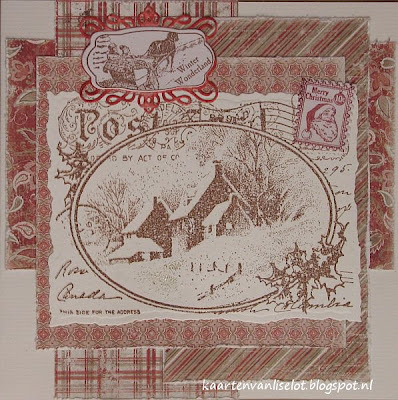 Ivonne Said: #46 Margreet - Love the color combo and all the gorgeous dies and embellishments she has added to the card. The image is so cute! Love it! Athina Said: There are so many wonderful details and embellishments. Absolutely stunning! Jacqueline Said: # 46 Margreet- I'm going to agree with Dangina, Ivonne and Athina. Love the monochromatic colour scheme and the use of those dies are awesome. Shanna Said: #46 she went above and beyond! Dangina said: Stunning die cuts, color combos and displays. Fabulous Creation! Jacqueline Said: I love this monochromatic colour scheme as well, lots of layers and it was beautifully done. Olivia Said: love the color palette of a more non traditional color scheme for the Holidays and nice clean layout. 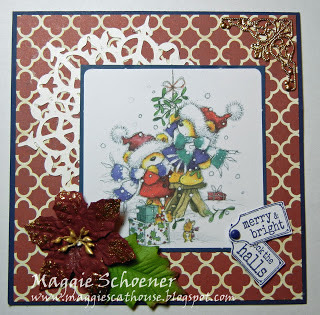 Marcy Said: I thought this was a sweet Christmas card and perfect for this challenge! Laura Said...I have a few that I chose because I LOVE Christmas Cards & Projects they are always so adorable...I just couldn't widdle my choices down anymore...LOL! Laura Said: I think blue and white Christmas cards are so pretty and I love the embossing folder Divinity used on her project. That Merry Christmas Sentiment with the flourishes and snowflakes in so pretty. Just a nice, elegant CAS Christmas card! Laura Said: Another FAVORITE color combination of mine is soft pinks and kraft for Christmas. I love the snowflake layer and then the pretty designer paper that Wendy chose. This is such a cute image too and colored so beautifully! I think this is just a sweet card all around. Beautiful job! Laura Said: This just totally made me laugh! I definitely have a few people on my Christmas Card list that a card like this is perfect for! Absolutely loved it! aaww, THANK YOU SO MUCH LADIES for picking my card as one of the favorites!! you Girls, just made my day!! big hug to you all!!! Thanks for picking my card as one of the favorites! Challenge 63 - Skinny Cards - 4"x9"
Challenge 62 - How CHARMING! Challenge 61 - CHRISTMAS IN JULY! Challenge 59 - ANYTHING GOES!